We are the comapany that do an ultimate eco city plan,has original technology and creates an environmental city. In short, We do some innovation projects. 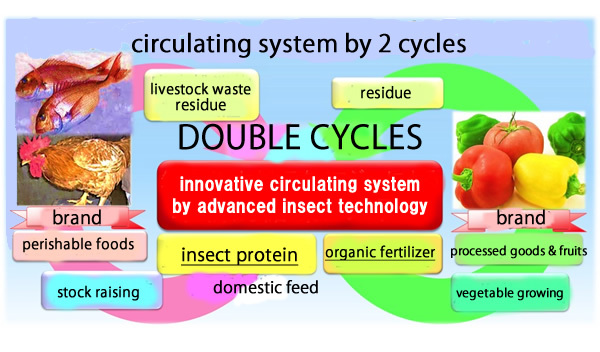 For example, circulated society,housefly,zoo compost, most advanced technology,saving energy,global warming measures,cedar,wood reinforcement technology,organic agriculture,organic livestock,ecoener and research & develop and so on. We are planning the circulated environmental town. There are offers from all over the world. We are also developing the wood reinforcement technology with the patent.Its progress is a secret but it is going forward step by step.If we could make it for a commercial application,it would give a big impact on its industry and it may be regared as a revolution. This technology can plus added value such as impregnating timber in log form directly,polymerizing,reinforce and fireproofing;However,existing technology can only thin timber. We are strong on this area through the results of russian development for over 20 years,confidence,information,and network. We prove it with the technology the earth are looking for. There are useful information here,so ask us about an area you are interested in. Please understand there may be a contract with confidentiality obligation due to much secret information. This is a circulating system by housefly. The project aims to concretely model a business using insect housefly system that use the providence of nature. This is a new heat generate machine named ecoener. We have developed this technology through the principle of the excess flow-generation of heat developed by mainly Euro since about 20 years ago. Available to see our homepage in English. Local Japanese radio,MRT radio interviewed us. Local Japanese news paper,Miyazaki nichi nichi shinbun. putted article about us. Our office location is changed. 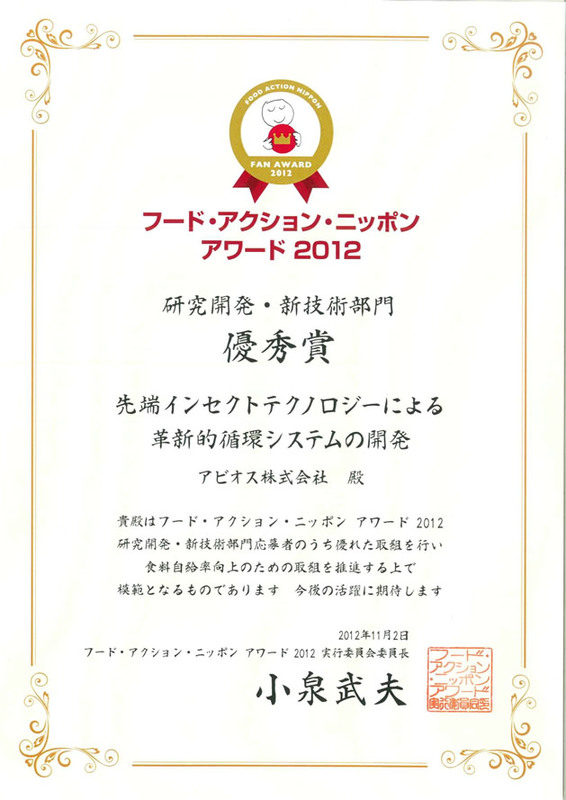 We obtained an award of excellence in the food action nippon award 2012. This picture was taken in dais. One of them is Akira Gungi who was Japanese minister of agriculture then. 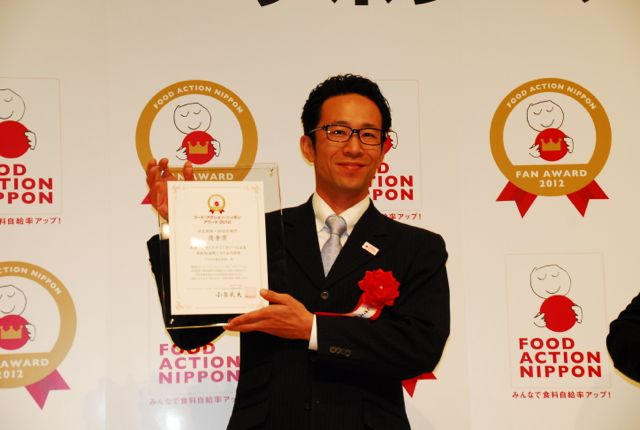 His name is Manabu Akaike who is an adviser for us. Copyright(C) 2012 ABIES Co.,ltd All Rights Reserved.